A pair of local men is facing charges in connection with two separate cases of alleged domestic violence over the weekend. 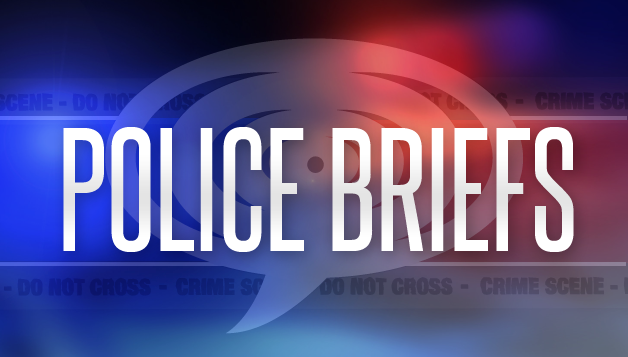 Chatham-Kent police said in the first case, a 26-year-old man was arrested Sunday afternoon after allegedly assaulting his wife and refusing to let her leave the home. Police received that call early Saturday morning, adding that the man took off before officers arrived at the scene, but later turned himself in. He has since been released with conditions and a future court date. In the second case, a 31-year-old Chatham man was arrested after allegedly assaulting his girlfriend. Police said the couple were arguing early Sunday morning when the man allegedly assaulted the woman as she tried to leave his residence. A 32-year-old Wallaceburg woman with a history of skipping her court dates will have another appearance before a judge. Police said a woman who was charged with break and enter and failing to attend court was released from custody on January 11 with a condition requiring her to show up for court on January 30. The woman allegedly skipped out on that hearing, though, so police issued a warrant for her arrest. Officers found her while they were responding to a noise complaint in Wallaceburg Sunday night and took her into custody pending a bail hearing. A 52-year-old Chatham man is facing charges after he was allegedly spotted behind the wheel of a vehicle on the weekend even though he was previously suspended from driving. Chatham-Kent police said the man was pulled over during a traffic stop on Bedford Street in Chatham Sunday afternoon. At that time, police also learned that the licence plates were not authorized for the vehicle. The driver was charged accordingly and the vehicle was towed from the scene.